Big M Pest Control provides the best pest control tips and services for New Braunfels and Corpus Christi TX. Pyrrharctia Isabella: Woolly bears, the caterpillar form of a Tiger Moth are found across North America. 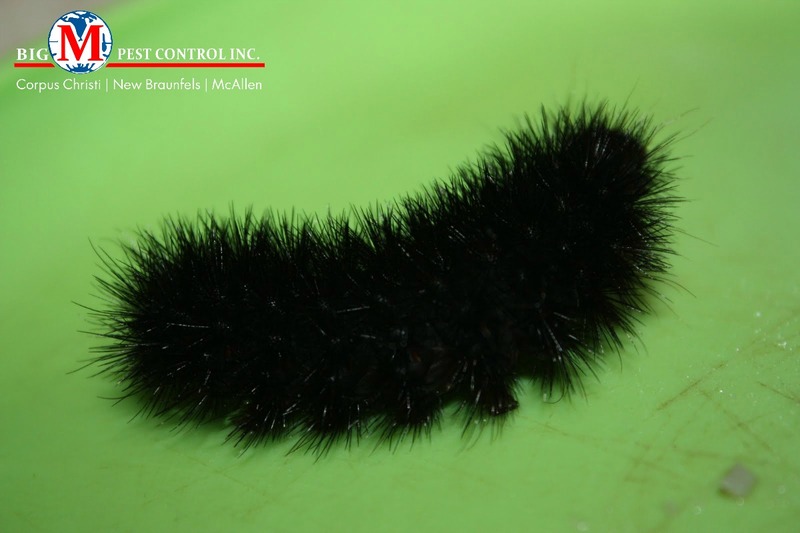 These cute, fluffy caterpillars can be raised indoors and often are used as classroom projects. These caterpillars become moths within months of hatching. The larvae feed on a wide range of flowering plants and prefers herbs as their diet. They are not poisonous and do not inject any type of venom as many think due to their fuzzy hair. They do not generally cause any type of skin irritation when handled. There are many folklore beliefs that the size or the stripes on the wolly bears will determine the strength and lengths of the winter months to come.